The set of 78 images, rich with symbolic meaning, is considered by students of this "occult" or "esoteric" Tarot to be independent of the particular representation as a deck of cards; consequently they focus on the study of the images (and their symbolic meanings) as distinct from any particular instance. 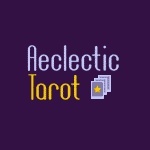 The tarot deck is comprised of 78 cards: 22 major arcana and 56 minor arcana. The 22 major arcana cards are supposed to depict a journey through one's life, which originates with the Fool card and ends with a card called The World. The minor arcana is the part of the deck that most closely resembles our playing cards of today. The minor arcane contains four suites, which correspond to any game deck you may have around the house. The suits are Wands (Clubs), Cups (Hearts), Pentacles (Diamonds), and Swords (Spades). Also present are the Queen, King and Knight (Prince or Jack) of each suit, plus the addition of Pages (or Princess). In addition to its philosophical and divinatory uses, Tarot is also used as an aid to meditation. 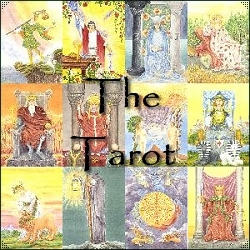 Tarot Cards are perhaps the most commonly known form of divination. Even if you are not a tarot user, most people are already familiar with their usage from films TV and books. The have been featured in films such as James Bond and the TV series Buffy the Vampire Slayer and are a familiar site around Britain’s seaside resorts. The early history of the cards is lost to us, with many possible ‘alternative’ theories being suggested for their origins; ranging from India and Buddhism to ancient Egypt. Whatever their origins, the history of tarot is unequivocally bound up with the history of playing cards, which predate tarot. Tarot cards were first used in the game Tarochi and the earliest decks, the Visconti Sfroza, from the 14th century are hand painted and finished with gold leaf. Gareth Knight suggests that decks such as these were too precious and expensive for recreational use and were possibly used as visualisation aids. The tarot is distinguished from ordinary playing cards by the addition of the trumps and an extra court card for each suit. The original number of trumps in the mediaeval decks varied but eventually settled at 22. The suits differ from playing cards using cups, wands, pentacles and swords instead of the usual hearts, clubs, diamonds and spades. The tarot remained mostly unchanged until the 19th century and the re-emergence of interest in the occult; when the tarot incorporated the symbolism and attributes associated with the Kabala and the Tree of Life. The first commercial deck, the Rider Waite deck produced in 1910 by A. E. Waite, on which many modern decks are based owes more to the Golden Dawn Kabala than any mediaeval tarot packs. These are numbered 1 to 10, with four court cards, usually Page, Knight, Queen and King though other decks substitute Prince and Princess in place of Page and Knight. 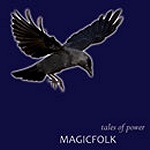 The ordering, numbering and names depicted on the Major Arcana also differ between decks; Crowley, for example, renamed the card Strength to Lust and new symbolism continues to be generated by shamans, magicians and artists. The tarot is most commonly known as a tool for divination by reading the cards that are selected from the deck and interpreting the meanings and interactions of the cards in relation to their position in the spread. It can also be used as a personal and spiritual development tool and as a visual aid in meditation. 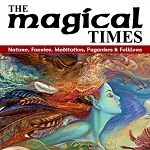 The popularity of the tarot has continued to grow, particularly since the 19th century and is now available to almost everyone who wishes to explore its uses. Yet only through study and personal growth will reveal the many hidden mysteries within the cards. It is important to choose a Tarot Deck that we feel drawn to, one that feels comfortable to hold, and one that you feel will speak to you. There are many to choose from, but take your time, the right Deck will present itself. Once you have bought your Tarot Deck, spend time getting to know your cards, as these will be guiding you. They need to be personalised, a good start is to consecrate them. This can be done in whatever way you feel comfortable with, lighting a candle, dressing with oil etc. Whenever I obtain a new Deck, I will light a candle, dress each one with a little oil. I then hold the cards, introduce myself, and tell them what I want of them, whilst meditating. Basically, the cards are a tool to help us have an insight into our daily lives, and of those around us. They will explain situations past and present, why they occurred, and what we can do to improve on them. Give us glimpses into our future. Unfortunately they are not a quick fix solution and cannot be read literally from the little book, that accompanies the Deck, my advice would be to throw it away. How it works sounds simple, but if you have taken the time, to know and understand your cards, then feelings, thoughts, and vibes should flow through you. Your intuitive side should start to come through; the more you use them, and learn by them. Every so often you should re-consecrate your cards, to cleanse them of the countless vibes and negative energy they have picked up, whilst doing readings. The cards are not there just to give readings to people; they can be used to look at life through a different perspective.